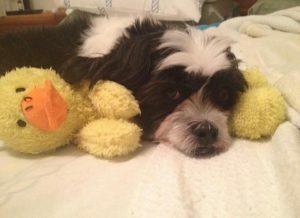 “Doctors said if I would have waited even 5 more minutes to bring him to the hospital, he would have died,” says Sandra, mom to Besos, a 7-year-old Shih Tzu mix. And, while Sandra’s afternoon was spent rushing to save her critically ill pup, her day started out just like any other. She fed Besos in the a.m. before leaving her house and noted that he was acting 100% normal. When she returned home, however, something was definitely wrong. “Besos didn’t want to come and greet me. He was just laying down. He didn’t even want to go outside,” says Sandra. Upon arrival at AVCC, doctors got right to work on Besos. “They knew right away what was wrong,” exclaims Sandra. “They showed me a syringe full of blood and told me he was bleeding internally,” she added. Then things went from bad to worse. As Besos was prepping for surgery, he went into cardiac arrest. Doctors at AVCC immediately started CPR and other lifesaving measures to stabilize him. 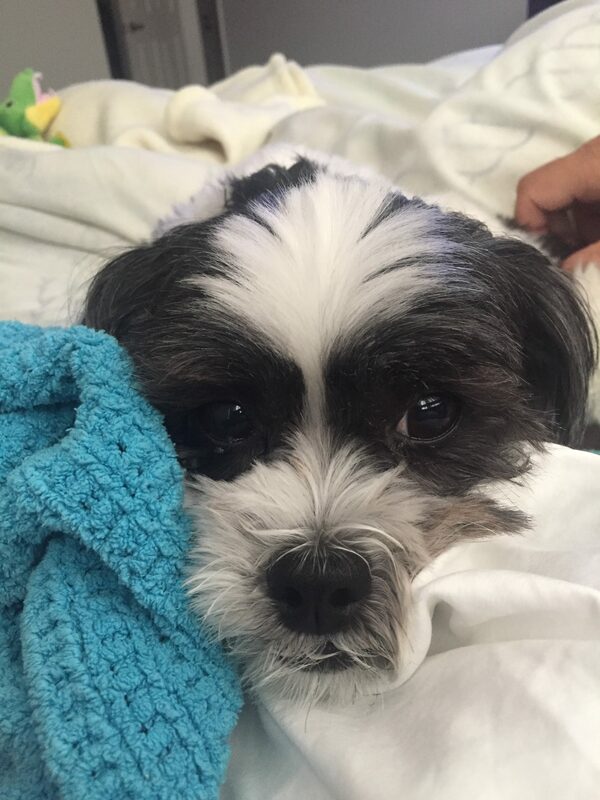 From there, it was a rush to the operating room where it was discovered that Besos had a tumor on his spleen. The spleen was then removed by splenectomy. “They saved his life,” says Sandra, crediting the quick work of doctors, nurses and staff at Advanced Veterinary Care Center. “The hospital is very clean, they are all very caring and they explain everything in a way I understood,” she adds. Today, Besos, which means “kisses” in Spanish, is feeling great! He’s right back to playing with toys, going on walks and of course, giving kisses. And, while a number of signs can point to a decline in a pet’s health, Sandra now makes it a habit to look at Besos’ gums. “Regular, periodic evaluation of your pets’ mouth is something that can be easily done by many pet owners, as long as the pet is cooperative, willing, and not one to bite or nip,” according to Dr. Jon Rappaport, Co-Medical Director of Advanced Veterinary Care Center. “Never attempt this in a fearful or painful dog,” he adds. Inspection of the mouth including gum color can often provide critical information for the pet owner that would prompt rapid evaluation by a veterinarian. A healthy pets’ gum color should be pink, just like ours! That’s normal. Pale could mean anemia (decreased red blood cells), poor circulation (from a number of possible causes), dehydration, and other problems. Blue or purple could mean severely decreased oxygen in the tissues, from severe cardiac or respiratory disorders, or toxicity such as Tylenol toxicity, especially in cats. Bright red could mean inflammation, either locally in the oral cavity, or throughout the body, or toxic exposure such as carbon monoxide poising. Yellow could mean liver or gall bladder problems, or disorders involving destruction of red blood cells. Abnormal odors could indicate dental disease, or other systemic illnesses such as kidney disease (uremic breath) and diabetes (ketotic breath). If ever you are concerned about your pet’s health, always contact your family veterinarian.